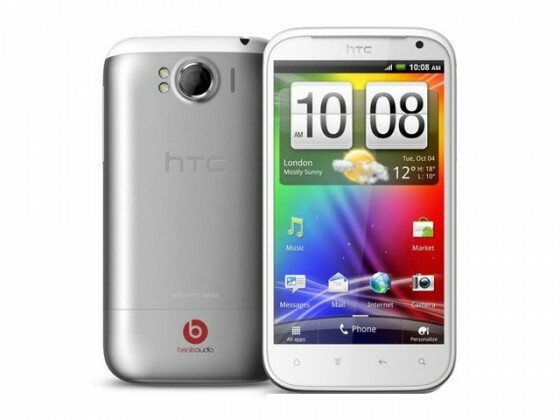 HTC has just launched the new HTC Sensation XL with Beats audio. The device features a real bump in terms of screen size and media capabilities. The fact of the matter remains, how do you choose your device between the Sensation , the Sensation XE and the Sensation XL. Launching in November in UK and Asia , Including India. LONDON – October 6, 2011 – HTC Corporation, a global designer of mobile devices, today unveiled the HTC Sensation™ XL with Beats Audio™ integration. This latest innovation is the result of the new partnership between HTC and Beats announced in August and takes mobile entertainment to a new level with an amazing 4.7-inch screen and a specifically optimized audio experience. The HTC Sensation XL joins the HTC Sensation XE to provide customers with a strong line-up of HTC smartphones integrated with Beats Audio. “HTC is an incredible partner and has completely embraced our desire to make the music experience on the mobile phone as powerful and as rich as it can be,” said Jimmy Iovine, Chairman of Beats by Dr. Dre. With the 4.7” screen, slim 9.9mm design and Beats Audio integration, the HTC Sensation XL was specifically created to deliver the best entertainment experience with stunning audio and visuals for music, movies and games. The HTC Sensation XL features unique audio tuning by Beats that ensures customers will hear their music as the artist intended. Unique to HTC phones, the HTC Sensation XL includes new lightweight urBeats™ headphones, created exclusively to integrate with the Beats’ audio profile on the device. The built-in microphone makes hands-free calling easy and the on-cable remote control allows customers to pause, advance or rewind, and to answer a call mid-track. Customers can also send music recommendations and track information to friends over SMS, email or through their Facebook profile. To allocate the perfect audio alert to an incoming call or message from friends and family, use the ringtone trimmer to edit a music track and add it to a friend’s contact profile. HTC Sensation XL integrates HTC Watch, an application and service that puts an entire library of the latest premium movies and TV shows right at your fingertips, letting people discover the latest video content in an easy and visually engaging way. HTC Watch uses progressive download technology that makes it possible to watch videos without waiting for a huge file to finish downloading. HTC Watch offers the choice of renting or buying videos, and, if purchased, lets customers watch them on up to five different HTC devices. The HTC Sensation XL boasts an 8MP camera, featuring a f/2.2, 28mm wide-angle lens with BSI sensor to fit more of the scene into every shot and for better low-light performance. In video mode, the HTC Sensation XL enables customers to record a perfect moment with stunning clarity and incredible stereo sound – perfect for sharing on YouTube, Facebook or a TV.